Set in a prime location of Singapore, Fernloft City Hostel – Chinatown puts everything the city has to offer just outside your doorstep. Both business travelers and tourists can enjoy the hotel’s facilities and services. All the necessary facilities, including lockers, Wi-Fi in public areas, tours, car park, elevator, are at hand. Each guestroom is elegantly furnished and equipped with handy amenities. The hotel offers various recreational opportunities. 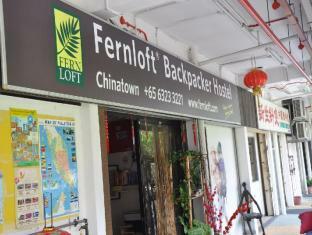 No matter what your reasons are for visiting Singapore, Fernloft City Hostel – Chinatown will make you feel instantly at home.